The reigning Best Bush Pub of NSW has come to market, as proud publicans Ash and Libby Walker look to consider their next challenge. 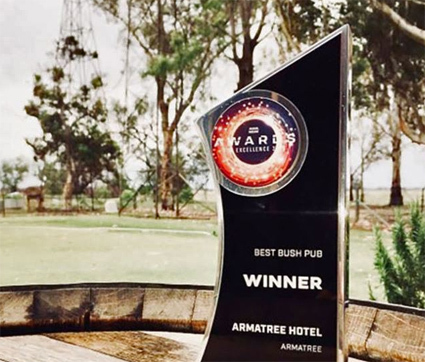 The Armatree Hotel is in the heart of Orana district, around six hours’ drive north-west of Sydney. 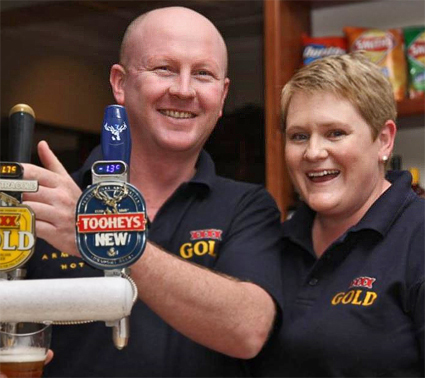 Ash and Libby moved to Armatree as newlyweds in 2007, buying the pub with no prior experience in the game. They’ve gone on to become part of the region’s furniture, begetting two girls along the way. Built 1929, the Armatree was very tired and the pair set about a long-term restoration as they built the business and rebuilt much of the establishment. Set on around 10,000sqm with a huge beer garden and grassed area, the two-storey brick pub operation counted a thriving public bar, eight renovated accommodation rooms and a growing off-site catering and party business. Considering their options, the Walkers listed the going concern in 2016, but although a sale came close they pulled it from the market, heeding feedback that the kitchen needed a makeover too. More than two years and well into six-figures later, the shiny new commercial kitchen is now open, although so far underutilised while the busy Christmas function season is put to bed and Ash and Libby find suitable new staff and a new menu. With number two about to start school, the family is once again offering up their prized restoration – winner of the AHA NSW Award for Best Bush Pub of 2018. Ash is a plumber turned project manager by trade, and Libby a nurse, and having lived in regions around Australia he says they’d like to spend some more time at home and in their beloved town. “We’ve got one of the best communities I’ve ever seen,” he says. “People here are just first-class … would do anything to help you out and really support anything you want to put on. Ash says the business has not stopped growing since they bought it, including the off-site catering aspect, as well as their growing reputation for functions, up to 650-pax, and hosting weddings, which he describes as “simple, classy and country”. 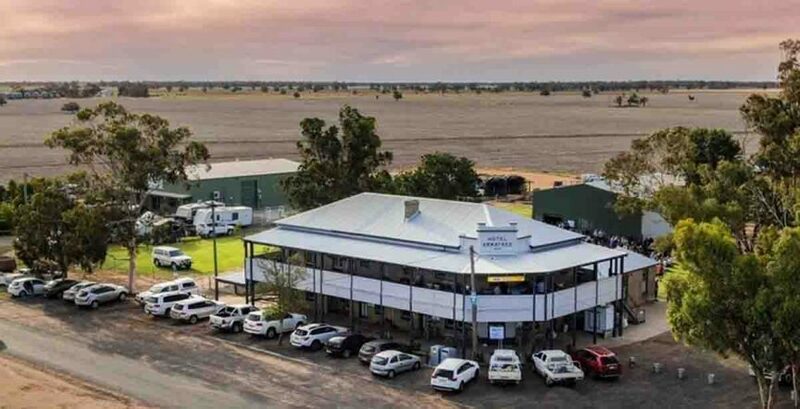 The historic landmark Armatree Hotel has now been put to market through Manenti Quinlan’s Nick Butler, reporting revenue for FY18 of more than $550k. Its no-gaming approach could be a seen as a drawcard for an owner-operator, or an untapped upside. “This award-winning Hotel has been meticulously restored by its current owners and is widely recognised as the regional hub and focal point for the community,” says Butler. 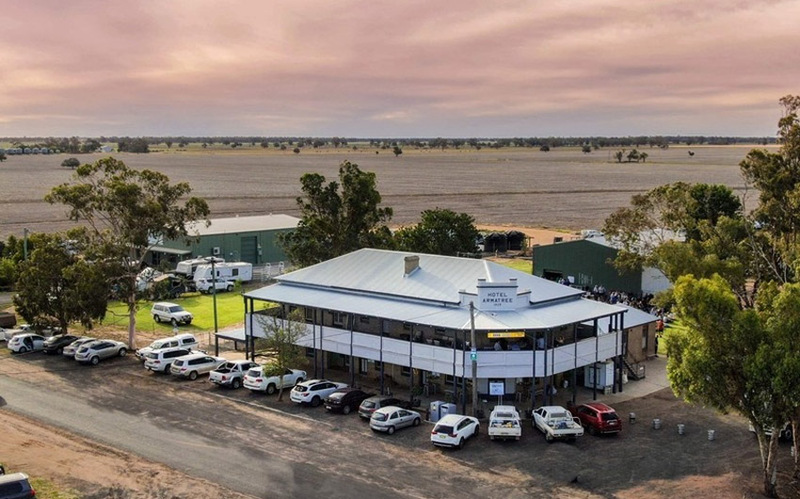 The freehold going concern of the Armatree Hotel is offering sale price of $1.1 million.